A Booksense (now IndieBound) Bestseller for Reading Groups! Every woman has something to say on the subject of her mother. In fact, many of us spend our lives trying to figure out just how we are like – or unlike – them. 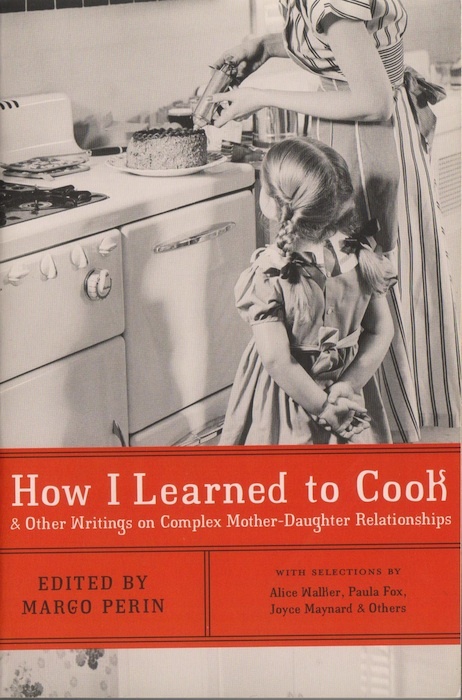 In How I Learned to Cook and Other Writings on Complex Mother-Daughter Relationships, women authors explore what is perhaps the most complicated of family relationships. In this elegant collection of writings, daughters describe their relationships with mothers whose own lives sometimes stood in the way of their ability to fulfill society’s ideal of what a good mother should be. Critically acclaimed authors – including Jamaica Kincaid, Alice Walker, Paula Fox, Vivian Gornick, Nawal El Saadawi, Ruth Kluger, Nahid Rachlin, Rosemary Daniell, Kate Braverman, Joyce Maynard, and Kim Chernin – share the page with emerging writers as they explore the shadow worlds that exist between mothers and daughters.